Four former employees of HP have recently filed a lawsuit in federal court against the computer manufacturer. 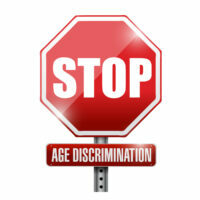 The suit alleges that HP discriminated against the employees based on their age. The lawsuit, filed on behalf of a class of older employees, claims that HP was attempting to transform itself into a “younger” company, firing thousands of older employees in the process. The plaintiffs claim that HP’s Workplace Reduction Plan, introduced in 2012, sought to shed older employees and replace them with millennials. The lawsuit cites statements made in October of 2013 by Hewlett Packard Enterprise Company CEO Meg Whitman to the effect that she wanted to transform the company into a “labor pyramid” from a “labor diamond,” relying on a wide base of younger employees. The plaintiffs describe the Workplace Reduction Plan in detail, arguing that it was an elaborate scheme designed to eliminate experienced workers. The lawsuit claims that senior management provided various HP offices with exact numbers of employees to be laid off, as well as written orders directing human resources to fill at least 75% of those vacancies with “graduate” or “early career” employees. Specifically, this majority of new hires should have finished college within the last 12 months, or had a maximum of five years of relevant experience. The plaintiffs claim that internal memoranda exhibited management’s discrimination against older employees. Specifically, the document described employees born between 1930 and 1946 as “traditionalist,” moving at a “slow and steady” pace, and that those born between 1946 and 1964 were “rule breakers,” making them less desirable employees. These documents lauded millennials, however, and encouraged hiring managers to “integrate millennials into the workforce.” Early retirement was offered to anyone over 55 who had been an HP employee for ten or more years. All four of the plaintiffs in the newly-filed lawsuit had spent years of their lives working for HP before being terminated and replaced with much younger employees. One plaintiff had received a rarely-awarded performance review of “significantly exceeds expectations” and had saved the company millions of dollars, but despite this performance was relocated to a data collection position before being fired. Another employee had also received exemplary performance reviews but was likewise demoted to a team of young new hires before being fired and replaced by a young new hire. The plaintiffs claim to have suffered a violation of their rights under the federal Age Discrimination in Employment Act, the California Fair Employment and Housing Act, and the California Business and Professions Code. If you have been discriminated against at your job because of your age, or otherwise suffered workplace discrimination in California, seek an attorney who will fight diligently for your rights under federal and state employment law, and contact Bay Area labor and employment attorney Richard N. Koss for a consultation, at 650-722-7046 (San Francisco), or 925-757-1700 (East Bay).